For those Toronto guitarists who are new to the city, there are a few things you will need to know in order to survive. Luckily, MWT has put together an official “Toronto Guitar Players Survival Guide” to help guitarists out. Will this save your life? Probably not but, it will help you find one of the many resources that are crucial to a guitar player. Especially one who doesn’t know the ins and outs of the Greater Toronto Area music scene. For those who play guitar Toronto offers an abundance of good music resources. From retails stores to practice rooms and recording studios to music jobs. And let’s not forget about the live music venues and many gigging opportunities. Below you will find a compilation of useful music resources that we like to refer to as a “survival guide for Toronto Guitarists”. So there you are, playing guitar and getting your groove on when all of a sudden a string breaks. You don’t have any extras so that means a trip to your local music shop. Sure, you can easily hop online and browse sites like Yelp or Google Maps. But why bother when you can view our list of featured music stores in Toronto, Ontario Canada. Our music shop list is up to date and contains direct links to the stores official site. >>> Now that you have found a good guitar store, it’s time to find some musicians to jam, join or form a band with. If you’re looking to finally put that dream band together, find a new member for your existing band or simply just meet some like minded musicians for a jam session; It’s important to know where to look. 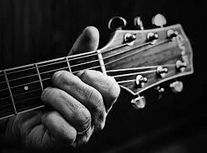 It just so happens that Musicians Wanted Toronto is one of the leading online communities for Toronto guitar players looking to meet other musicians. Offering guitarists free ad posting/replies with no membership or sign up requirements. As well as local music business listings, open jams, promotions and a musician buy and sell. 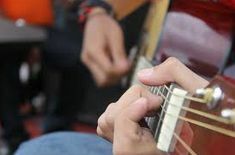 It’s the perfect place for a guitar player to connect with other musicians, without all the hassles of sign-ins, restrictions and flagged ads the big popular classified sites have. >>> Now that you have found a musician to jam with, it’s time to find a place to practice. There are many reasons why a guitar player will need to rent a rehearsal studio space. Maybe the neighbors are complaining about the noise, you need a bigger space to rehearse in or perhaps you just need some privacy. Either way, a rehearsal space is an excellent place for a Toronto guitarist to let loose. Luckily, there are many excellent rehearsal spaces in Toronto that cater to musicians and guitarists alike. Depending on your requirements, most should suit your needs and fit within your budget. For those who want a higher end rehearsal facility, they have those as well. Simply browse the list of featured studios from the above link and book a room. All of the spaces mentioned are good choices for guitar players. If you want to rock out on a solo practice and need a rehearsal room while not paying full-band price, we have the Music Studio for you. The Groove Room Rehearsal Studios is an excellent choice as they offer quality rooms at a discount for solo / single musicians, as well as large fully-equipped jam spaces for more complete bands at very fair prices. >>> Now that you have found a place to practice and have polished up your tunes, it’s time to find a recording studio to record your music. When it’s time to record your music and you don’t have your own recording equipment, you will need the services of a recording engineer. There are many recording studios in the city of Toronto that are fully equipped to handle the job for guitarists, solo artists, musicians or bands. Depending on the amount of time you need, the quality of sound and overall services, the price for recording can fluctuate greatly. Some studios have higher prices because they have recorded for some big names in the music business and have years of experience. Others have modest pricing because they are fairly new to the industry or don’t have all the bells and whistles the big recording studios have. We do suggest that you shop around and check out the list of Featured Toronto Recording Studios before you dive in. It’s important to talk to the audio engineers to make sure they are a good fit for your music. Checking out some reviews and comparing prices is always recommended. >>> Now that you have found a good studio to record your music, it may be time to find a music job to pay for the studio time or just earn some extra spending money. In order to afford all of the above guitar purchases, you will need to find yourself a job. For many musicians and guitar players living in Toronto, finding employment in the music industry would be a good fit. It’s a great way to get your foot in the door and for keeping an ear on the music industry. But how and where do guitar players find jobs in the music industry? Simple, they browse the list of MWT’s Toronto Music Jobs and apply for the position by sending in their resume. There are all kinds of job opportunities for guitarists in Toronto’s music industry. From music store clerks to guitar repair technicians and from playing gigs to working in one of the many departments of a music related business. Salaries for guitar player jobs in Toronto can range from minimum wage to over 100k per year. Benefits may or may not be included, depending on the job and company hiring. Some positions may also have bonuses and perks. We hope that you can put the above Toronto Guitar Player Survival Guide for Toronto Guitarists to good use. If you feel that we have missed anything and/or would like to request an addition to the guide, simply contact MWT and let us know.